Michal Tarka is upcoming producer from Poland. He was born in little city Cieplice near Jelenia Gora and Karkonosze Mountains. He turned into trance when he was 7, by his uncle who got much vinyls and Unitra Gramophone back in the days. After few years he decided to produce his own music, started with some lessons on FL Studio, Cubase and Ableton. First daw was hard to learn, that's why he decided to produce his collaboration track in 2013 with Simon Moon and Naeba called "Sunset In The Morning" on FL Studio which was released in March 2014 and supported by Armin van Buuren (remix by O.B.M. Notion). 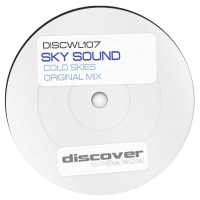 But also he had many supports under Sky Sound alias from famous dj's like Corti Organ, Paul van Dyk, RAM, Alex Morph and much more. He had 2 supports by Paul van Dyk himself, first was the remix mentioned on Vonyc Sessions by Mhammed El Alami for his "Stairway To Heaven" track released under D.MAX Recordings, also the remix for Ula's track "The Phantom Sixth Man" released on Entrancing Music which was supported also by Paul Van Dyk himself in his podcast Vonyc Sessions. In 2015 he was released solo tracks like "Destination", "Quantum" and remix for Ula. Sky Sound is producing under one alias, but you can still listen him as Dark Vision or new project soon in 2016 called "Blue Vision"